July 9, 2013 After Egyptian President Mohamed Morsi’s ouster from power, Islamists in Egypt face an uncertain fate. But they aren’t the only ones. Developments in Egypt now pose a particularly thorny problem for groups across the Middle East and North Africa that trace their lineage back to the Muslim Brotherhood, the world’s oldest Islamist movement. ‘Yes, we took inspiration from some of their ideas,’ he admitted, and ‘we don’t deny that we are part of the Islamist movement.’ But he took umbrage at any suggestion that the two groups were comparable, choosing instead to paint the PJD as the Brotherhood’s more learned, established, and experienced relative. ‘We’ve grown up into a mature political party; we have learned a great deal,’ he said. 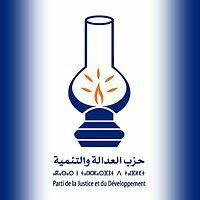 In February 2013 Moroccan Prime Minister and Secretary-General of the Justice and Development Party denied that his party “belongs” to the Muslim Brotherhood. Despite Mr. Benkirane’s denial, in December 2011 Global Muslim Brotherhood leader Youssef Qaradawi was among the first of the Islamic scholars to congratulate the Justice and Development Party (JDP) on its parliamentary victory in June of that year. In March 2011, a JDP leader was one of the participants at conference that brought together an unusual and significant number of participants from the Global Muslim Brotherhood, the Egyptian Brotherhood, and other Islamist movements that also included Rachid Ghannouchi, the leader of the Tunisian Muslim Brotherhood.